Carolina Cassedy ('18) and Josie Kirberg ('18) hustle after a loose ball. 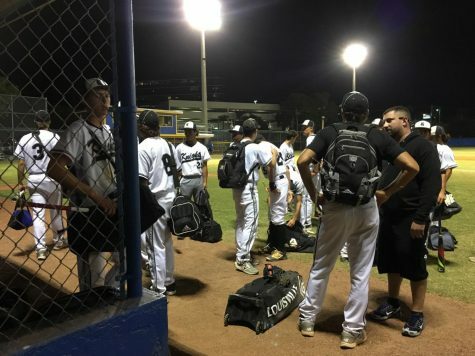 The Knights started the week off on Wednesday, April 4, in one of their biggest matchups of the season: the South Tampa showdown between the 2017 FHSAA 1A State Champion Knights and the 2017 FHSAA 2A State Champion Plant Panthers. Robinson won 12-6. 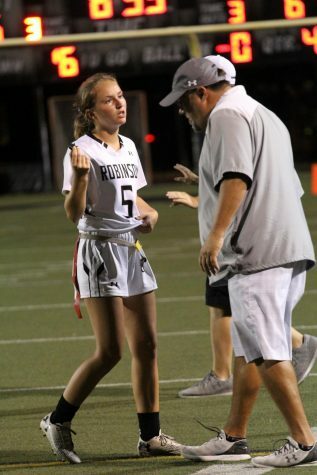 With only 47 seconds left in the game, inside receiver and captain Emily Kemp made the winning touchdown catch to lead the Knights to their 15th consecutive win over Plant. 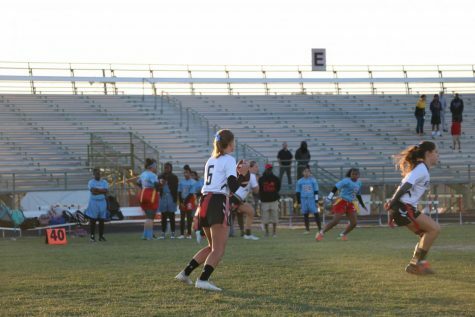 But only two days later, the Knights fell 7-6 to Lincoln after making the five-hour trip to Tallahassee for the annual Capitol City Classic flag football tournament, ending their 28-game winning streak. The rest of the tournament was canceled due to tornado warnings and lightning. The Knights next face Brandon on Wednesday, April 11, at Robinson High School (6311 S Lois Ave., 33616). 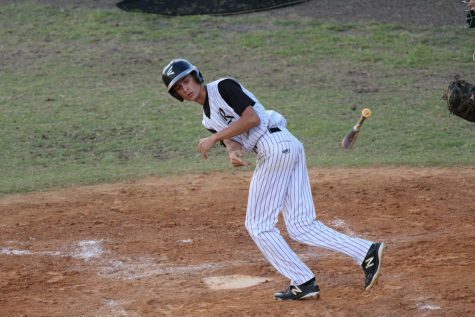 The Knights (9-6) added two district wins to their record this week, starting with a narrow 3-2 win over Spoto (3-12) on Tuesday, April 3. They closed out the week with a strong 22-0 shutout against Middleton (0-15) on Thursday, April 5. The Knights will face Jesuit (12-6) on Wednesday, April 10 at Jesuit High School (4701 N. Himes Ave., 33614). The Lady Knights Played several games last week as well as participated in the annual Longshore Tournament in Naples over the weekend. 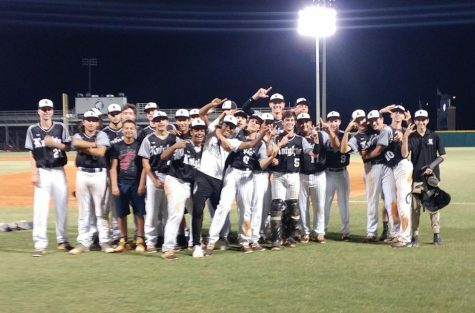 The team brought in several wins against Spoto (17-0) on April 3, Middleton (15-0) on April 5, Barron Collier (13-8) on April 6, Palmetto Ridge (16-1) and Gulf Coast (15-0) on April 7. Unfortunately, the Lady Knights did end up taking a 2-1 loss to Estero that Friday in Naples after a ten-inning game against a pitcher who has committed to The University of Alabama. The Lady Knights will face Blake High School on Thursday, April 12 at home (6311 S. Lois Ave., 33616). 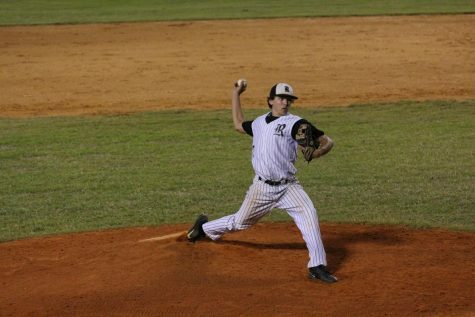 The Knights (2-10) kicked off their two-game week with an 8-3 senior night win against Durant (2-8) on Monday, April 2. The team honored their six seniors at the game: Mark Valentino, James Willoughby, Griffith Shaler, Joshua Hernandez, Joseph Tranchik, and Maxwell Hartle. The Knights closed out their week with a 15-3 loss to Berkeley Prep (5-11) on Thursday, April 5. The Knights will face Freedom (2-5) on Thursday, April 12 at Freedom High School (17410 Commerce Park Blvd., 33647). The Lady Knights (5-6) beat Durant on Monday, April 2, 15-7. 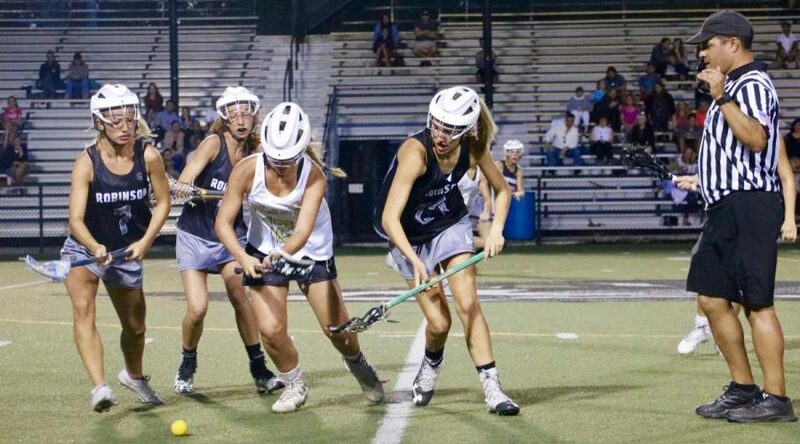 They followed that up with a hard 16-11 loss against Berkeley Prep on senior night, Thursday, April 5. They honored the six seniors during their senior night celebrations: Carolina Cassedy, Amelia Hicks, Margaret Hicks, Josie Kirberg, Olivia Smith and Corey Hendricks. 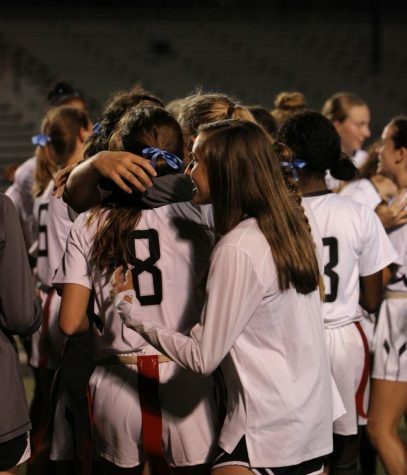 The Lady Knights will face Land O’ Lakes (1-9) at home on Tuesday, April 10 (6311 S. Lois Ave., 33616). The Robinson track team travelled to Wharton on Tuesday, April 3 for the Western Conference Finals. During the meet, Abigail Baileys (’20) moved on to counties with an impressive performance. Throwers finished with 27 total team points and two county qualifiers: Kyle Creech (’18) and Destiny Thomas (’19). The Knights also travelled to Steinbrenner this past weekend on Saturday, April 7 for the Steinbrenner Invitational meet. Thomas PR’d and finished first with a shotput throw of 11.46 meters, and Myron Ausby (’20) was a finalist in the 400. Track districts will be held on Friday, April 13 at 1 pm at Gaither High School (16200 N. Dale Mabry, 33624). 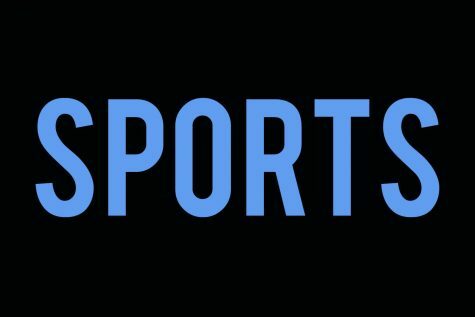 The boys tennis team suffered an 0-7 loss to Plant City last Tuesday, April 3. 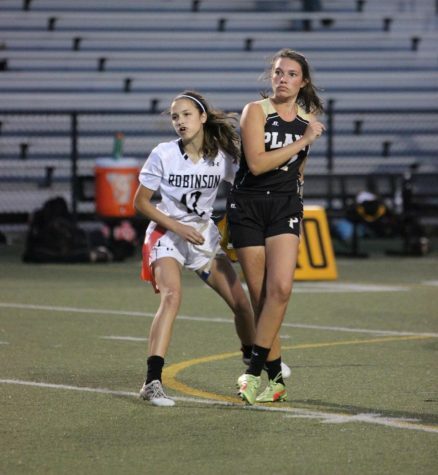 Meanwhile, the girls had a 7-0 victory over Plant City last week. Scoring points in singles were Alara Hollyfield (’18), Elliott Peterson (’19), Ashley Osiason (’18), Catherine Liu (’18), and Kaki McNeel (’18). Scoring points in doubles were Hollyfield and Peterson and doubles team Osiason and McNeel. The tennis team will face Riverview on Monday, April 9.